KC03 - Keyboard - Q-net International Ltd.
KC03 is the facelifted version of KC02. With the help of this keyboard the clerk can handle all the service procedures: e.g. : call, recall, forward to a counter or service, close the service procedure or move the customers onto the waiting list. The illuminated display of the keyboard can show textual messages also, which are helping the operation, for example number of waiting customers. In case the clerk doesn’t call the next customer after a while, the keyboard gives a sound signal. 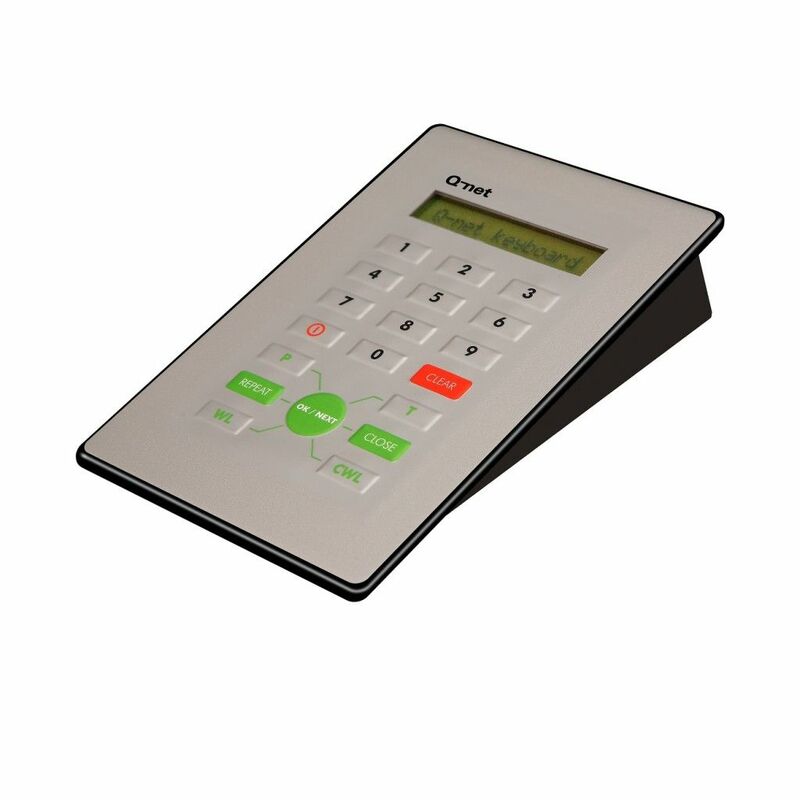 The KC03 keyboard is available for Q-net Pro systems. This entry was posted in Hardware, Keyboards, Pro, Pro Keyboards, Queue Management Systems, Solutions. Bookmark the permalink.